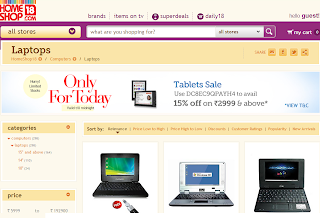 This is a very popular website which sells various products like apparels,books, computers,mobiles, accessories etc. 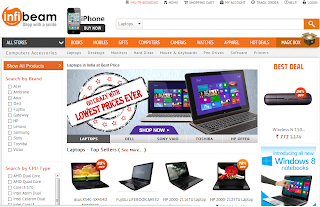 They have very good collection of laptops that you can buy from almost all brands. You can get at least 10% off on most of the laptops here. They also come out with coupon codes time to time. 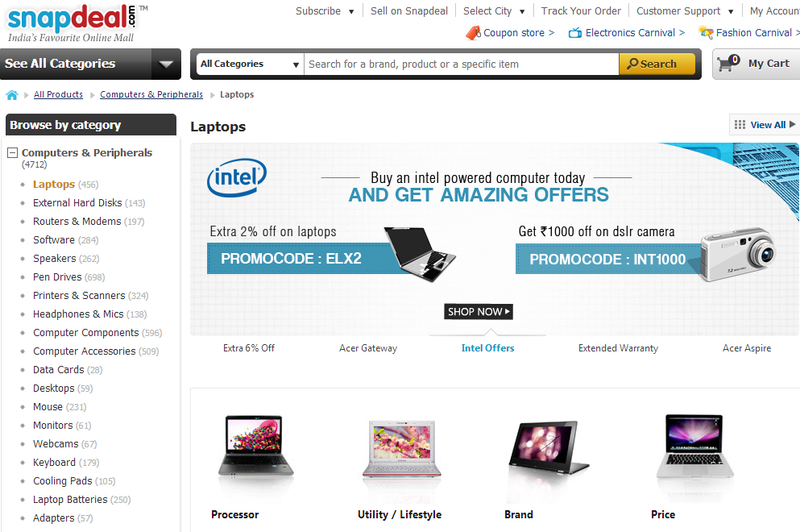 So you can also use the coupon codes to get some nice additional discount on your laptop purchase. Infibeam has various payment options like Cash on Delivery, Credit Card/Debit Card, Internet Banking etc and even Easy Monthly Installments (EMI). This is undoubtedly one of the best shopping sites in India and the one which brought the ecommerce revolution in India. Starting as a website selling books online today it has various categories of products ranging from clothes, mobiles, electronics, stationary, books, footwear and much more. 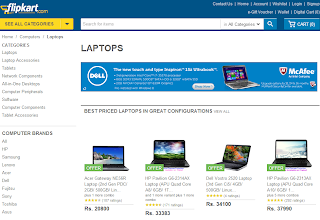 They are probably one of the best sites to buy laptops online in India. 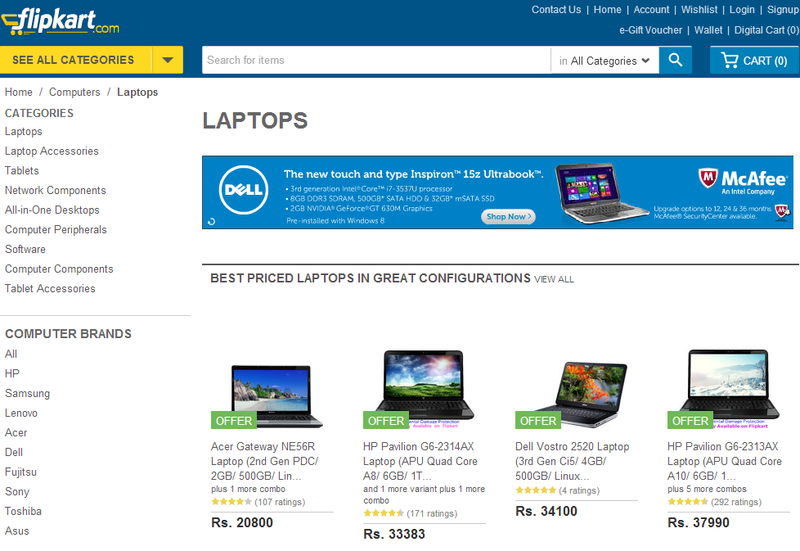 They have very good range of laptops from all brands and most of them are priced less than the MRP. You can pay by various payment methods such as Cash on Delivery, Credit Card/Debit Card, Internet Banking etc. 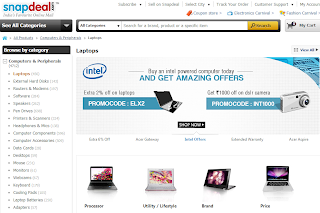 These are some of the best sites to buy laptops online in India. 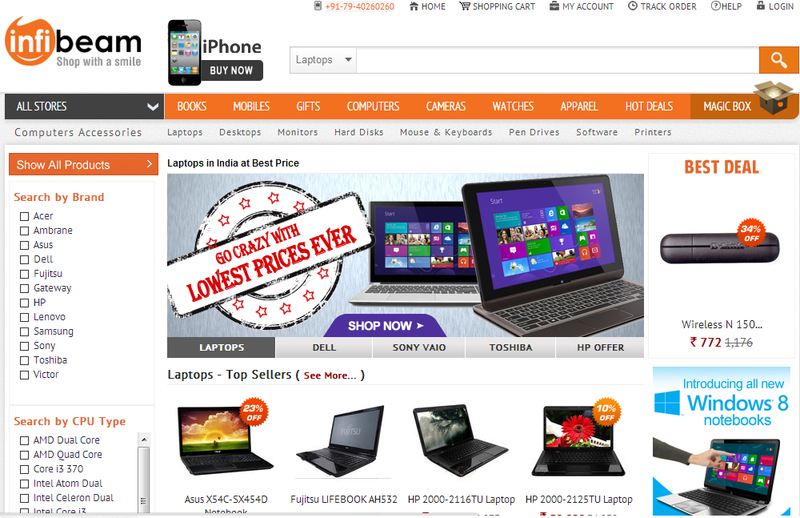 There are various other sites too that sell laptops which you can try out. Most of the sites mentioned in this post offer free shipping on laptops as they are high priced items. You can save some considerable money by applying coupon codes and using cash back sites to get further discounts on your purchases. If you like this post please share it through social networking sites. Your comment are also welcome on the topic.